Fr. Georgy Kochetkov is a well-known priest of the Russian Orthodox Church (Moscow Patriarchate) and a famous missionary, who has brought over 15 thousand people into the church. He is a gifted preacher and the founder of the Transfiguration Brotherhood (Fellowship of Minor Orthodox Brotherhoods). 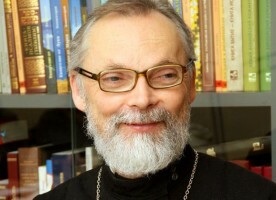 Fr Georgy is a theologian and liturgist, the creator of a holistic catechetical system, and the founder and Rector of St. Philaret’s Orthodox Christian Institute (SFI). Fr. Georgy’s numerous books and articles cover sacramentology, missiology, catechetics and other theological disciplines. 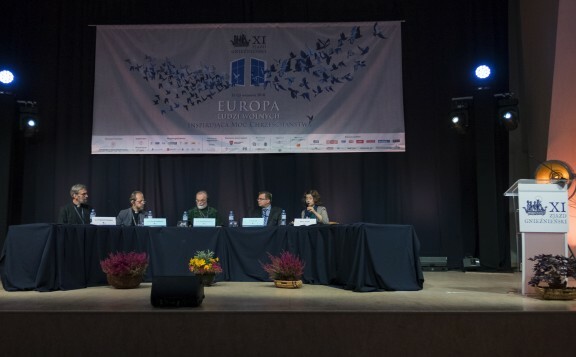 He is a proponent of the translation of liturgical texts and the Editor-in-Chief of a seven-volume edition of Orthodox liturgical texts translated into Russian. Fr Georgy serves as a priest of the Russian Orthodox Church. 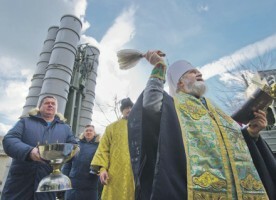 For over 15 years he has celebrated on Sundays at Moscow’s Novodevichy Convent and also serves vespers and matins in the chapels of St. Philaret’s Institute and SFI’s Transfiguration Cultural Centre. 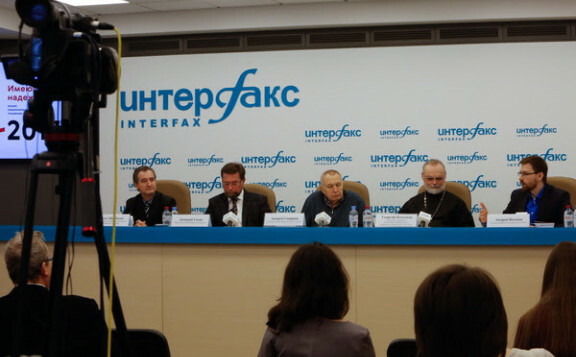 Fr Georgy (Jury S. Kochetkov) was born on October 5, 1950. He was baptized with the name Georgy at the age of 10. He became a believer in his school years, having discovered and accepted Christianity through his interest in Renaissance art. He was a good student and willing to share his knowledge, so that by 7th grade he was already taking classmates on tours of the churches inside the Moscow Kremlin. It was also during his school years that he first read the Bible. In 1972, future priest Georgy Kochetkov graduated from the Faculty of General Economics at the Plekhanov Moscow Institute of National Economy. In 1974 – 1978, Yuri Kochetkov completed his postgraduate studies at the Institute of Economics of the Academy of Sciences of the USSR, though he did not defend his PhD thesis, having instead enrolled in the Leningrad Theological Academy. He passed all his seminary exams (28) without attending official seminary classes. From the late 1970s, the famous Russian priest Ioann Krestyankin prepared Georgy Kochetkov for entering the priesthood. In 1983, Archbishop Kirill of Vyborg (now Patriarch of Moscow and All Russia) ordained him deacon, after which ordination to the priesthood should soon have followed. This did not happen, due to its prohibition by the authorities in charge of religious affairs. Fr Georgy was only able to take holy priestly orders six years later. He was ordained at the Dormition of the Theotokos Cathedral at Novodevichy Convent on September 24, 1989, by Metropolitan Juvenaly of Krutitsy and Kolomna. In the late 1980s, Fr. 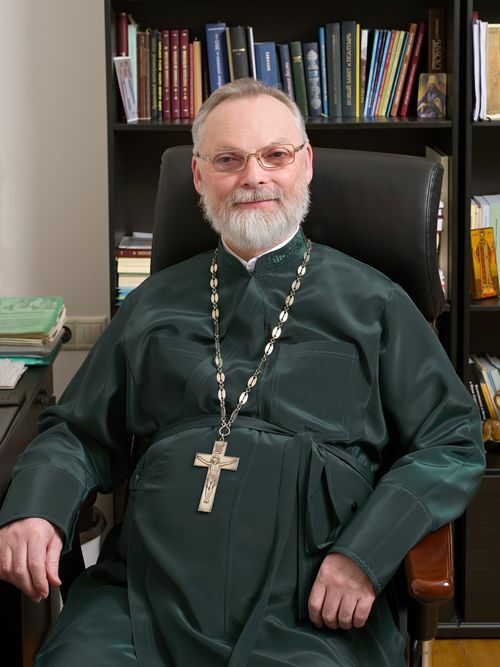 Georgy served as senior priest at Holy Trinity Church in the town of Elektrougli (in the Moscow region), and from 1990-94 at the Theotokos of Vladimir Cathedral at Sretensky Monastery in Moscow, which was returned to the Russian Church at the request of Fr Georgy and his parishioners, who afterwards helped to restore the building. In August 1990, the Transfiguration Brotherhood was born out of the group of people who had completed catechesis with Fr. Georgy. In September of the same year, a group of brotherhood activists headed by Fr. Georgy initiated the Sretenye Brotherhood for the purposes of orthodox spiritual enlightenment and charity. It was this group that petitioned for the Dormition of the Theotokos Church in Pechatniki to be returned to the Russian Church. Fr. Georgy was parish priest there until 1997. During his studies at Leningrad Theological Academy between 1980 and 1983, Fr. Georgy held the Patriarch’s fellowship and served as a subdeacon under the Rector of the Academy, Archbishop Kirill (Gundyaev) of Vyborg. Despite being a brilliant student, he was expelled in his final year for missionary and catechetical activities, through the initiative of the authorities in charge of religious affairs. Only in 1990 was Fr Georgy able to finish his spiritual education, having graduated from the Moscow Theological Academy. In 1993, with the blessing of Patriarch Alexius II, he defended his PhD thesis at St Sergius Orthodox Theological Institute in Paris. The title of his thesis was ‘A Mystagogical Introduction to Orthodox Catechetics’. A great number of people have come to faith through Fr Georgy’s witness, his deep interest in each person, through various communal pilgrimages and by attending church together. In 1971, Yury Kochetkov became the godfather of Alexandre Kopirovsky, his first godson. 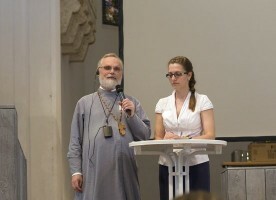 Since the late 1970s, catechesis was offered regularly in a large group setting, in premises offered by Fr Arkady Shatov (now Bishop Panteleimon). Eventually Fr. Georgy created a system of catechetical instruction based on the patristic tradition, which is presently the most coherent system within the Russian Orthodox Church. 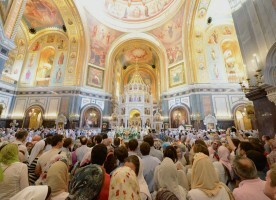 Every year several hundred people pass through this long-term catechetical cycle, and generally become active members of the Russian Orthodox Church. As early as the 1980s, Fr. Georgy was contemplating a project which encompassed the creation of a theological school. The first twelve students started to study in the newly organized Higher Christian School in 1988. Now SFI is an officially certified and licensed theological school. See www.sfi.ru. Since his years at the Leningrad Academy, Fr Georgy has worked on translation of liturgical texts into Russian. In the 1980s, some of his translations of the baptismal service were used by Archbishop Kirill, then Rector of the Academy, when he baptized people who had passed through catechesis. Due to Fr. Georgy’s work, we can now read and hear in Russian the main body of the unchangeable texts of the Orthodox cycle of church services: here. Because of his activity, Fr. Georgy has often been criticized, slandered and even persecuted. Fr. 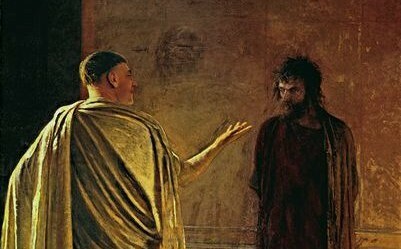 Georgy and the Transfiguration Brotherhood have been falsely accused of sectarianism, heresy, the beating of a priest, disobedience to hierarchy, and of modernism. 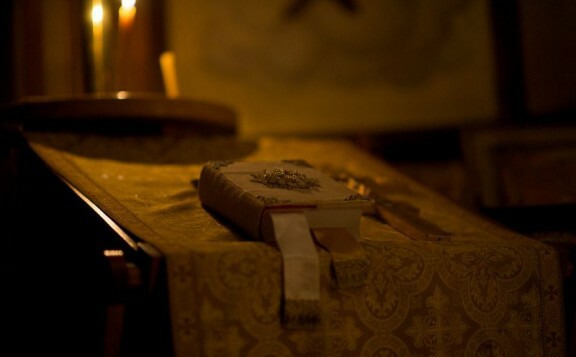 In some dioceses, members of the brotherhood have been improperly deprived of communion, forbidden from leading catechesis, demanded to ‘repent’ and renounce their spiritual father, and denied participation in church events. There have been media campaigns against the Brotherhood. Many of the accusations have faded away with time. 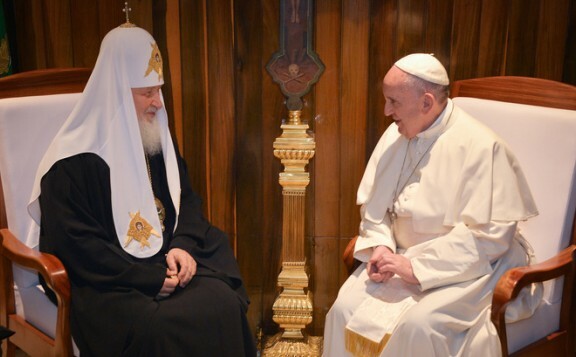 Some things that the Brotherhood was previously accused of – such as catechesis, community life and weekly communion – have become mainstream within the Russian church, or are at least now widely accepted as such. There are, however, still people who continue to level baseless accusations. One of the main directions of Fr. Georgy’s ministry lies in gathering together communities and brotherhoods. Since the foundation of the Transfiguration Brotherhood (1990), Fr. Georgy has been its spiritual director. The Transfiguration Brotherhood is presently one of the biggest informal spiritual movements within the Russian Church. 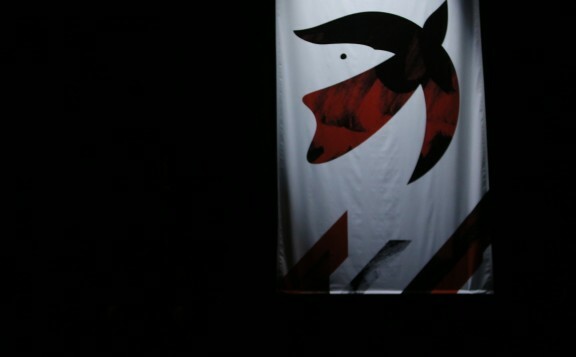 In 2015, a documentary movie dedicated to the 25th anniversary of the Brotherhood was filmed by the widely-renown Russian film-director Alexandre Goutman. Can a person without an education be a believer?